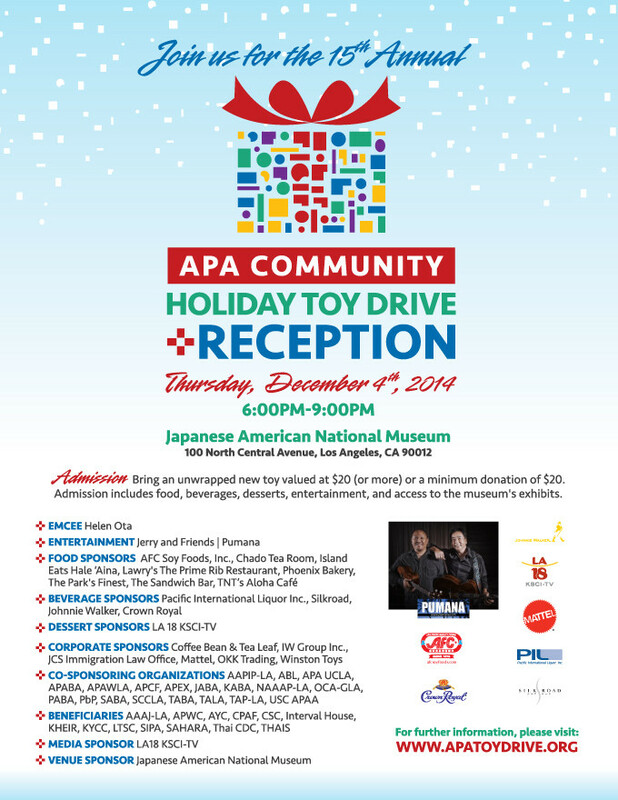 TABA is a co-sponsoring organization of the APA Community Holiday Toy Drive and is trying to recruit 8-12 volunteers. We really need sign-ups! Please contact Kathy Khommarath at khommarath.kathy@gmail.com if you are interested in volunteering. Admission: Bring an unwrapped new toy, valued at $20 (or more) OR a minimum donation of $20. Guests of the Toy Drive can tour the museum at no extra cost. The museum store is open until 8:00pm on the day of the event.